Teachers must continue to grow in their profession. Thankfully, there are many avenues open for professional growth and development. The purpose of the following list is to give you ideas into ways that you can grow and develop as teachers no matter what level of experience you currently have. An easy way to learn new methods for lesson preparation, organization, and creating effective classroom systems can be found in books. For example, the Everything New Teacher Book written by this author provides many great resources for new teachers. You can also read books that provide inspirational and moving stories to help motivate you as you teach. Some examples include Chicken Soup for the Soul: Teacher Tales and The Courage to Teach by Parker J. Palmer. Professional development courses are a great way to find out the latest research in education. Courses on topics like brain research and assessment creation can be very enlightening. Further, subject specific courses like "History Alive" provide American History teachers with ideas for lesson enhancements. Some of these can be pricey or require a minimum number of participants. You should approach your department head and administration if you hear of a course that would be great to bring to your school district. Alternatively, online professional development courses are on the rise and provide your more flexibility in terms of when you actually do the work. College courses provide teachers with more in-depth information on the topic chosen. Many states provide teachers with incentives for completing additional college courses. For example, in the state of Florida, college courses provide teachers with a means to be recertified. They might also provide you with monetary and tax incentives so check with your state's Department of Education. Established websites provide wonderful ideas and inspiration to teachers. Further, professional journals can help enhance lessons throughout the curriculum. If you know of a great teacher at your school, arrange to spend a little time observing them. They don't even have to teach in your subject area. You can pick up different ways to deal with situations and to help with basic housekeeping tasks. Additionally, visiting other schools and seeing how other teachers present their lessons and deal with students can be very enlightening. Sometimes we get in a rut thinking that the way that we are teaching is the only way to do it. However, seeing how other professionals handle the material can be a real eye-opener. 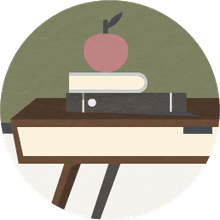 Professional organizations like the National Education Association or the American Federation of Teachers provide members with resources to help them in and out of the classroom. Further, many teachers find associations specific to their subject matter give them a wealth of material to help build and enhance lessons. English, math, science and social studies are just a few examples of subjects that have their own associations. Local and national teaching conferences occur throughout the year. See if one is going to be near you and try and attend. Most schools will give you the time off to attend if you promise to present the information. Some might even pay for your attendance depending on the budgetary situation. Check with your administration. The individual sessions and keynote speakers can be truly inspirational.